Somewhere between the sweetness of wine and the bitterness of beer, one can find cider, made from fermenting apples. One of the more ancient beverages, cider’s been popular in countries like the UK, where it’s supposed to have found its beginning. India is beginning to gradually embrace the beverage as well, with a few independent brands — such as Tempest, Green Valley and Himachal — and taprooms such as Doollaly and Gateway. And now there’s new entrant, Sheppy’s. With its award-winning two century-old legacy, the cider is being brought from UK’s Somerset, thanks to 6th generation Master of Cider, David Sheppy and Indian start-up, Morgan Beverage’s Rohan Nihalani. 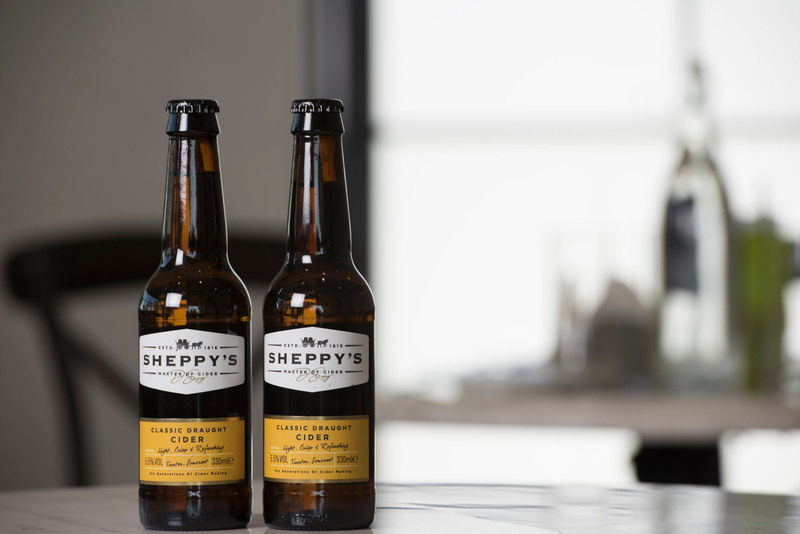 A craft cider, Sheppy’s has been in production since 1816. Its alcohol content is 5.5% and is vegan and gluten-free in make as well. It’s made from bittersweet and dessert apples, tasting light and crisp, with a balance of tart sweetness and dryness. It is this legacy that attracted Rohan Nihalani of Morgan Beverages to introduce Indian connoisseurs to this brand. Nihalani’s own story of discovering cider and Sheppy’s specifically, was the result of an academic endeavour that turned into a passion. While pursuing his MBA in London, he decided to write his thesis on the changing dynamics and trends of the alcohol industry and through this, he discovered that the demand for cider was growing all over the western world, but hadn’t quite reached India.”I didn’t want to get full-time into my family business, and as I looked for more avenues to do business in, I found cider would be the best, since it was the only thing on my mind. After weeks of research in the local market, it was clear to me that cider was still an unknown beverage and the ones available were not up to scratch. The logical solution was to import great quality Cider and distribute that in the Indian market. After having tasted over 200 different ciders, both commercial and artisanal, I tasted Sheppy’s and immediately knew that I wanted to bring this to the market”, he says. I asked Sheppy what are some of the key taste components of cider that any new drinker should look out for? He explained, “The majority of ciders that are mass-produced around the world can be overly sweet and made from concentrate but a good craft cider will have a careful balance of sweet, dry, acidic and tannic notes. The ideal cider should have a good balance of all 3 with a clean fresh apple aroma. The next skill in the craft is blending the cider after fermentation. This enables the final blend to have both consistency and quality in the final product. Aroma obviously from the fresh smell of the cider. Acidity will create a light tingling feeling on the tip of the tongue. Sweetness will be felt over the top of the tongue and Bitterness creates a drying out of the palate. The 3 essential tastes complement each other. A light carbonation plays a significant role in bringing out the bold mouth-feel of ciders – the finer bubbles allow the subtler flavours to come to the fore, giving it a complex and sparkling finish”. Currently, Sheppy’s Classic Draught Cider retails for ₹390.00. Many more variants, including Sheppy’s 200 reserve cider — celebrating the brand’s 200thanniversary in 2016 — will be launched in the coming months.